Accommodate everyone in a beautiful, spacious two-bedroom suite with treetop balconies overlooking our lush, tropical gardens. 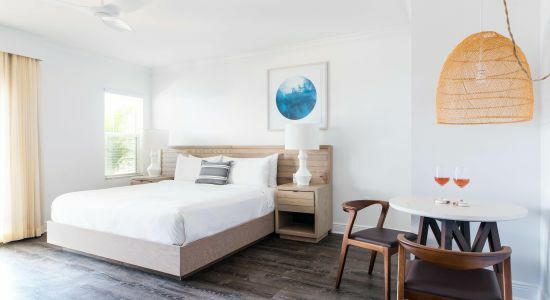 Our two-bedroom Key West suites offer both privacy and ample shared space for family or friends traveling together. Please note that all suites include a flight of stairs leading to the living room and master bedroom. Get ready to enjoy the Tropics with your friends and family, island-style.